The role of the Contact Centre is evolving at a rapid rate, driven in no small part by the customer experience (CX) revolution. The old, cost-based model by which many Contact Centres are still operating today does not accommodate for customer experience. Instead it is shaped by KPIs centred around the speed of service and cost. To better retain customers, remain competitive, and adapt to the customer experience revolution, your Contact Centre needs a customer experience strategy. In this age, it is those companies that have embraced digital transformation who are growing at a phenomenal rate. 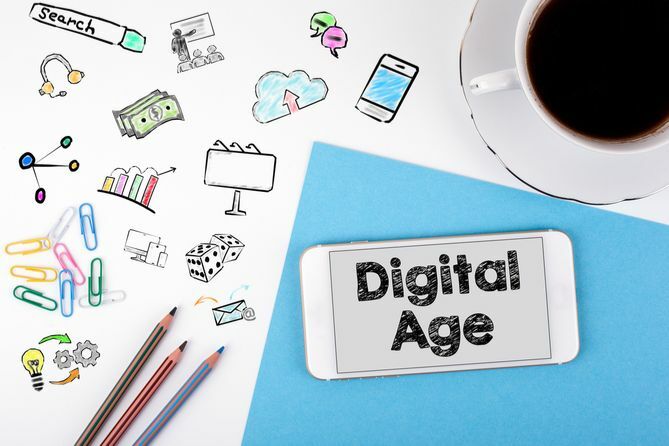 Consumers today, particularly younger generations, expect to be able to use their smartphone or instant messaging services to contact the companies they use, and when they aren’t able to do this, customer satisfaction is impacted. ‘Every business we speak with has two drivers’, says Martin Cross, CTO, Connect Managed Services. 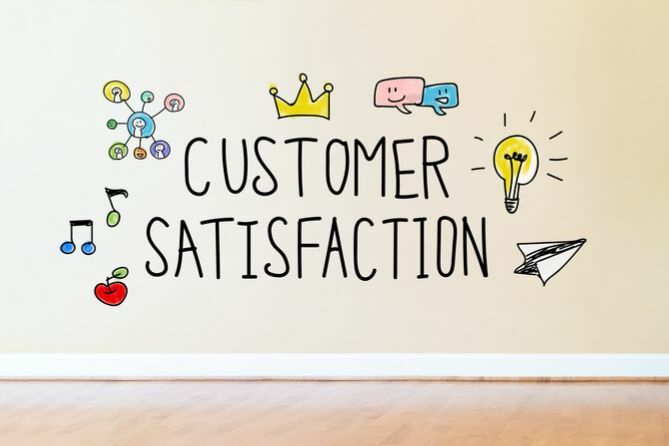 ‘There’s this need to digitise so that they can converse with customers in whatever channel is available, and there’s the need to treat the customer as an individual, personalise their experience and solve their problem first time.’ A watertight customer experience strategy facilitates this. Read more: Download our Customer Experience Guide. A customer experience strategy provides you with the opportunity to craft a series of interactions using multiple channels to support a more personalised customer experience. Bring your organisation onboard with the customer experience revolution by looking at the data you currently have on how your customers interact with you and making a customer journey map to identify the pressure points. You can then fix those pressure points. For example, could self-service channels improve customer satisfaction? If your IT teams are finding themselves challenged to keep up with developments and the growing array of communications channels used for customer interactions, multimedia might be key to a better customer experience. An effective customer experience strategy is designed around the ways your customers are interacting with your Contact Centres, enabling you to adapt your Contact Centre environment to better meet their expectations across the different touchpoints. A top 10 Global Fortune 500 company identified the strategic goal of consolidating its people and standardising its processes and technologies to deliver a world-class, consistent customer experience. But the company delivers energy products and services to around 80 countries. Its operations require complex alignment between marketing, sales, ordering process, emergency enquiries and support, technical support, loyalty payments, and various other programmes that it runs for its B2B and B2C customers. Moreover, it has 83,000 employees and 17,800 retail sites that it supports through 450 agents handling 100,000 calls per month and US$50m in transactions daily. Discover the four-phase approach it took to achieve this and exceed the scope of the original transformation programme, delivering cost savings across its service centres while innovating and enabling the customer journey on a global scale. Key to a successful strategy is a customer journey map, revealing which touchpoints your customers experience when interacting with you and what their expectations are as they move along this journey. A journey map offers a visual representation from which you can draw actionable insights into moments of customer truth and or pain points where customers drop off. A journey map should be both recognisable in the eyes of a customer and easy for the delivery team to take action from, but that isn’t to say a standard blueprint exists. How you design and present the map is up to you; what matters is its content and the key steps it touches on to most accurately map the customer journey. Different channels are often suited to different scenarios. In terms of what channels to choose, chatbots and virtual assistants employed across the website (desktop and mobile) and SMS (or conversational speech assistants over video or calls) are all well worth considering. Today, virtual agents use natural language processing (NLP) to understand the ‘intent’ of a whole question (rather than looking at it as a collection of individual words). This allows customers to interact more naturally with the virtual agent as they would now with another human being. In turn, this allows the virtual agent to address more types of queries compared to previous self-service technologies and is more likely to be used by the customers. Chatbots can be used not only to support customers directly but by also assisting agents to find answers within the knowledge base or recommend ‘Next Best Action’. Any inbound enquiry that requires a simple, transactional, repetitive action should be the first to be considered for self-service using the virtual agent technology described previously. Introducing it will reduce your inbound call volume and can help improve your customer satisfaction and NPS. 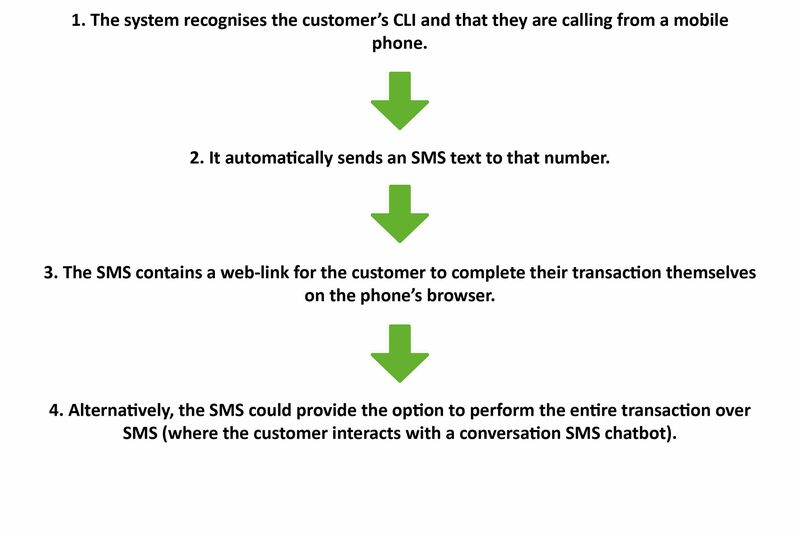 In either scenario (web link or SMS chatbot), the customer completes the transaction without the need to queue or to speak to an agent. This reduces the demand for agents and saves your business money. Once a customer has successfully used this method and enjoyed the experience, it is likely that the next time they will return to it directly. The initial call ‘deflection’ becomes an ongoing call ‘avoidance’. The demand for customer journey maps is met by customer experience management (CXM) platforms and customer experience platforms (CXP), which allow you to map the stages and interactions of that journey, calling up various services and channels to deliver each stage. Choosing the right technology and channels to ensure great customer service takes a blend of experience, technical know-how built up of many years and access to a wide range of vendor solutions. For more information about how you could use CXM and CXP software to speed up and improve the customer journey mapping process, get in touch. Your completed customer journey map will likely reveal that the customer journey has changed significantly from any previously documented versions. The Contact Centre remains at the centre of this process, but it is no longer just a physical location with agents on phones. Instead, it represents an amalgam of technologies, processes, people and skills that can make or break a brand’s reputation. With your customer journey map in hand, you can begin to align your Contact Centre environment with the moments of truth or customer pain points to better serve your customers and improve customer satisfaction.